This book lurked in my list for a long time. I would read a story (I really only found one I tolerated) and then put it off to the side, coming back every so often to bite a small chunk off, get bored and then put it aside again. So I would say I slogged through this book. 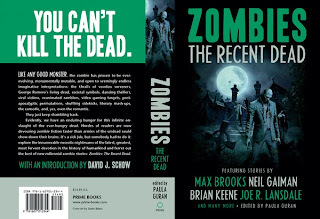 And this is short story compilation, it shouldn't be like this, where every bite was just not satisfying, but it was. But I rarely give up (from determination or hope, but I rarely quit anything once I started it, be it real life or reading) so I finally finished it (3 months later!). I will say that the last story was one of the best, so it didn't finish on a truly sour note. But the best thing about this book? That I don't feel compelled to read it any more. 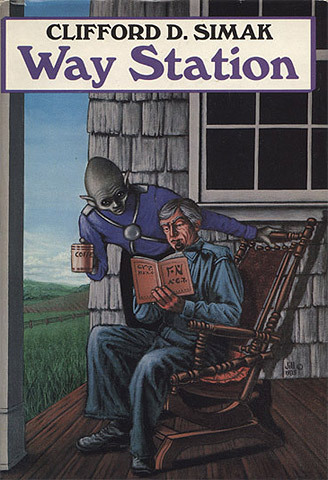 Way Station by Clifford D. Simak. This was a throwback novel. Classic SF of the style that I haven't read in almost 20 years (I trend more toward military SF and urban fantasy). It definitely required a context switch but it is interesting to stretch my normal bound. Enoch Wallace is a Civil War veteran who is living in the contemporary times(circa 1963 for the novel) and has finally attracted the attention of the government due to his lack of aging. Shortly after the the war he is offered the chance to become a station master in an chain of FTL transfer stations for travelers. He effectively is a hermit who has little interaction with society but talks with all the travelers who comes through. Enoch only ages when he leaves his house, so he is aging at less than 1/24 normal, which is what finally draws the governments attention. There are a couple of threads that combine for a burst of activity toward the end and are fairly well wrapped up by the action. The writing has aged fairly well, and there is even concepts that are quite familiar as SF to modern readers (VR shooting range, aliens not so perfect). It does have some of the common threads of SF of the time (humans bad and immature, aliens superior) that does leave it feeling dated though.